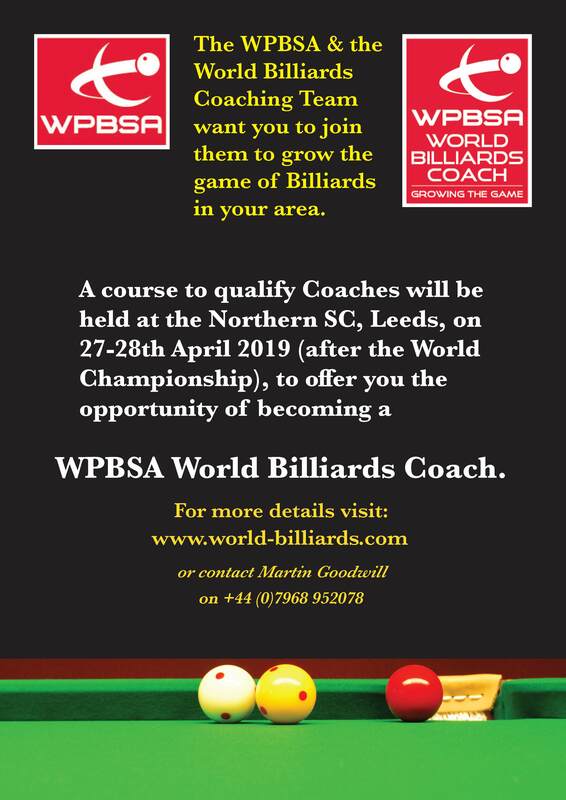 Our next Coaching Course will take place over the weekend of 27th & 28th April 2019 at the Northern Snooker Centre in Leeds, immediately following the short format World Championship. 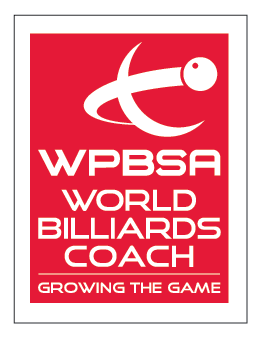 So far we have 42 World Billiards coaches worldwide and we are hoping to increase this number significantly during this course. Our head of coaching Martin Goodwill will be assisted by head coach Phillip Welham and multiple world champion Peter Gilchrist. This will be a two day course covering how to coach the basics of the game. WPBSA’s Chris Motley will be in attendance for a presentation on child protection. Course participants will have to pass a pre-course online exam, plus three practical exams on day two of the course. 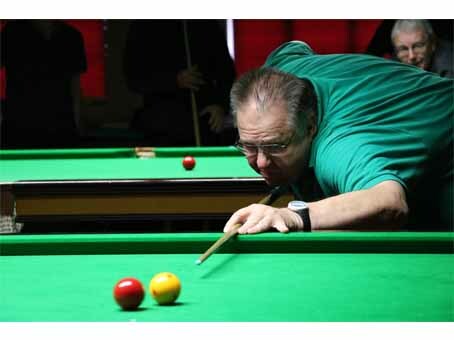 For the first time we are also adding a billiards seminar on Monday 29th which all qualified World Billiards coaches will be invited to attend. Peter Gilchrist is confirmed as the first guest speaker and we hope to add others in due course. Coaches will be able to discuss both coaching and playing techniques with guest speakers in an open forum without the restriction of the more rigid structure of the preceding coaching course. The seminar will also be free to attend for coaches who have qualified on previous courses. The price of the coaching course (including the seminar) is £199. Click here to register. Note that this is a long form, but you can use the Save and Continue feature. Our latest Coaching Course took place over the weekend of 9th & 10th December 2017 at the Winchester Club in Leicester. 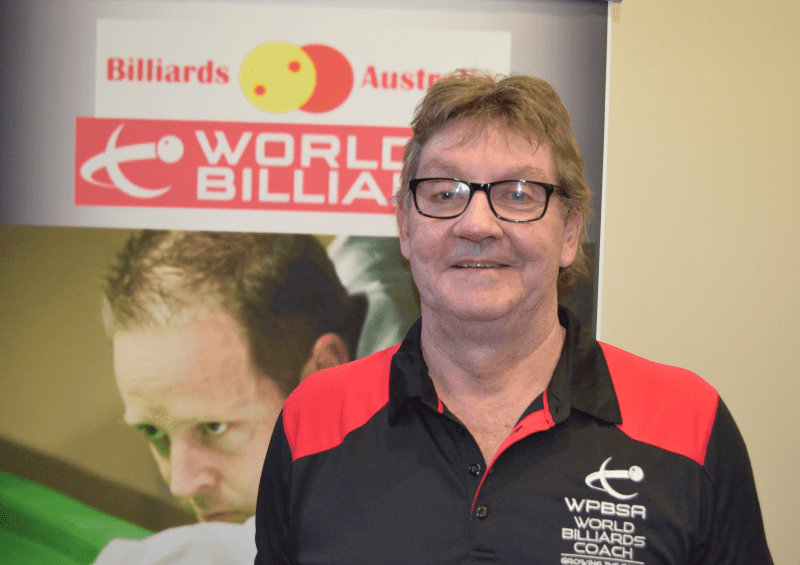 Ten people qualified as new WPBSA World Billiards coaches, bringing the total number up to 42 worldwide. Our head of coaching Martin Goodwill put together a two day course covering how to coach the basics of the game. 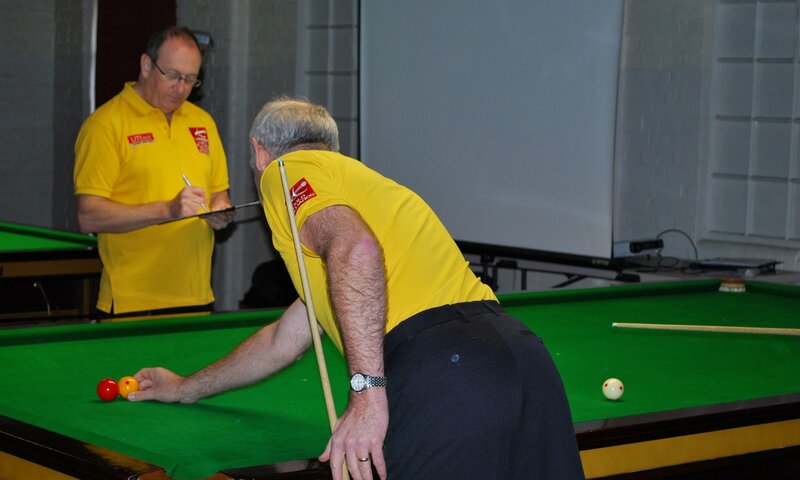 He was assisted by Peter Gilchrist, Rob Hall and WPBSA child protection officer Chris Motley. Course participants had to pass a pre-course online exam, plus three practical exams on day two of the course. Congratulations to new coaches (L-R) Jim Burke, Antony Cooke, David Nichols, Roy Smith, Peter Gilchrist, Arthur Winn, Ian Cotter, Rob Hall, Glenn Yeo and Victor Yeong pictured with Head of Coaching Martin Goodwill (far left) and club managers Mukesh & Svetlana Parmar (centre). 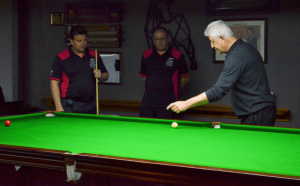 September 2017 saw World Billiards successfully stage their first ever coaching course outside the UK, at the Yarraville Club in Australia. Approved and supported by the World Professional Billiards and Snooker Association (WPBSA), the course was developed and delivered by Head of Coaching Martin Goodwill (England), Jason Colebrook (Australia) and Gary Oliver (New Zealand). Jason and Gary underwent training in the days prior to the event in order to deliver the course and qualify as WPBSA approved Billiards Examiners for their respective countries. The course was very well supported with 12 players from various states across Australia and included the 2002 World Amateur Snooker Champion, Steve Mifsud. 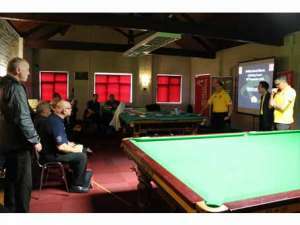 Prior to the course each candidate had to complete an online examination and on the day activities included learning how to teach some of the key shots and techniques in billiards as well as discussing pre-recorded video scenarios. In addition, each coach had to complete three practical examinations, teaching various aspects of the game. All players successfully completed the course and after various governance procedures have been completed will be presented with a certificate and will receive a WPBSA/World Billiards coaching ID card. 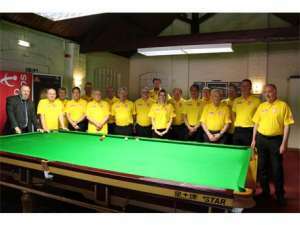 Had a wonderful day at the Reventon academy attending the World Billiards coaches course. I found the course very professionally run and very enjoyable. Martin Goodwill’s presentation was excellent and his advice on coaching techniques invaluable. I’d recommend anyone interested in the game of English Billiards to take this course. Excellent course – comprehensive, entertaining, and very professionally delivered. Set a benchmark as to how to deliver a coaching accreditation course, with great group participation evident. I left the course inspired to pass on the knowledge acquired, as well as encouraged to greater personal practise and development. It was great to have Martin Goodwill in Australia to deliver this course to the prospective coach examiners and coaches. By the end of the course all the candidates where enthused about the sport and felt ready to help introduce new players into the sport, courtesy of a sound knowledge of teaching the basics. The Winchester Club in Leicester during September 2016. 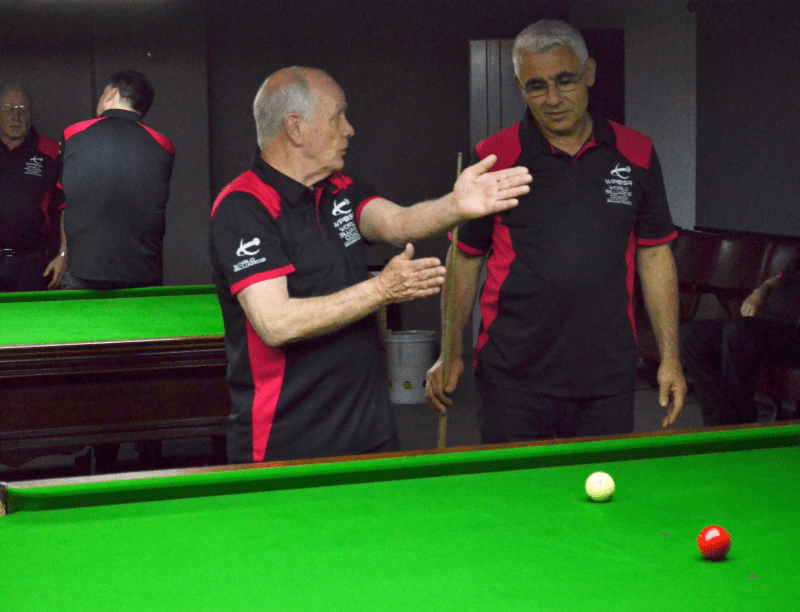 Coaches had already successfully passed an online examination (about the basics of coaching billiards and the rules of the game) and participated in various events including teaching the basics, group discussions, video analysis and a practical examination. The course was delivered by Martin Goodwill (Head of Coaching), Phil Welham (Head Coach) and Roxton Chapman (President of World Billiards). 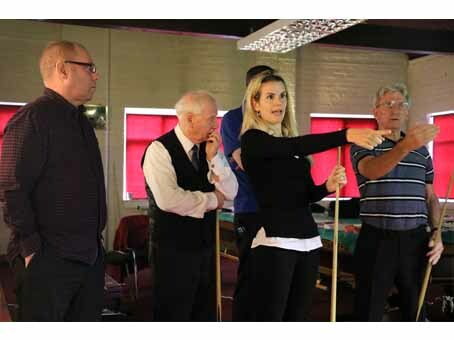 It was very well supported by the WPBSA and attended by Alan Chamberlain (WPBSA Board Member and World Billiards Chairman), Chris Motley (WPBSA DBS and Child Protection Officer), Lisa Bray (WPBSA Secretary) and Matt Huart (WPBSA Press and Media Officer).